Volunteers should arrive at 9 am for a briefing, by the riverside benches at the Patwell Lane end of Church Bridge. 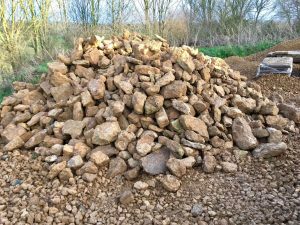 Local stone will have been delivered into the river early in the morning, and our job is to create two teardrop shaped berms, under the expert direction of the Wild Trout Trust – Think horizontal dry (or wet?) stone walling. This work party suits energetic gardeners, builders or sportspeople – please bring a few friends, or encourage those you know to join us, as many hands make light work! We recommend waders and stout gloves. Wellies may be sufficient if the flow is low on Saturday. Expect to finish early afternoon. 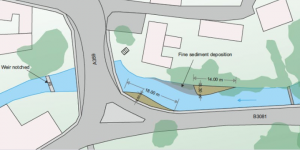 The two stone berms will deflect water towards the northern arch (at Church Bridge Stores’ end of the bridge), ‘Slowing the Flow’ to reduce flash flood risk through Bruton. 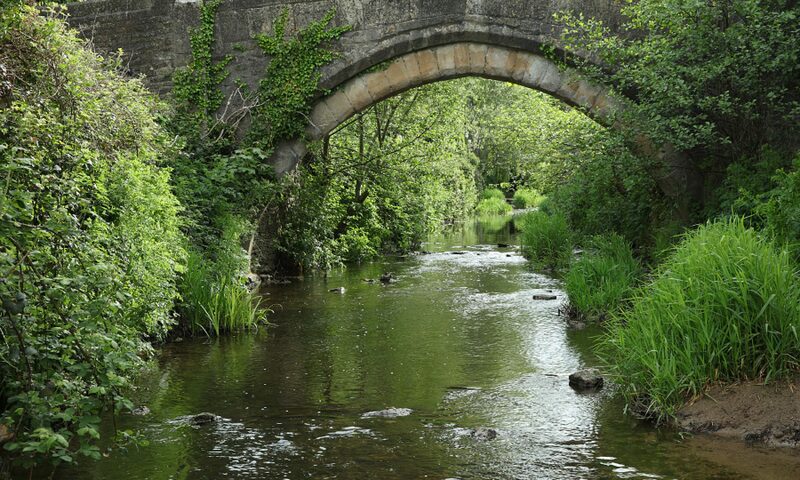 Berms vary the flow through the canalised town centre, and also provide good habitats for invertebrates and fish. 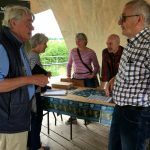 Materials have been funded by a £1,000 Hills to Levels capital grant from Somerset Rivers Authority. 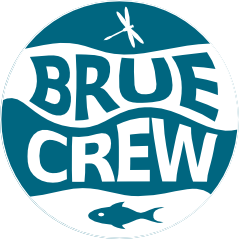 BrueCREW have secured Environment Agency permission. 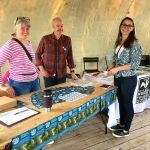 Membership provides funds towards equipment for work parties, Riverfly monitoring, insurance, expert advice from organisations such as the Wild Trout Trust, and training. 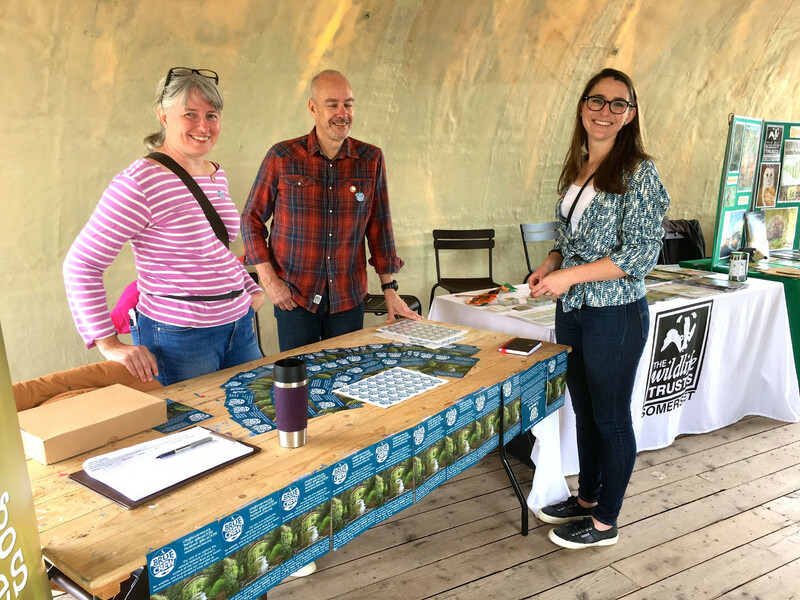 Members can play a role in BrueCREW by attending our AGM and taking part in our activities. The first walk looks as though it was a success with 15 people undertaking the 3 mile walk starting from the stepping stones in Bruton and walking up past the fish ponds to Hauser and Wirth car park then up the hill towards open farm land, then down towards the dam and finally walking along the river bank and back to the stepping stones. Everybody was chatting the whole way round and the distance and time went quickly. The next walk will be on March 2nd and will be interesting to see the difference to growth in the hedgerows. A short 17 minute video of the walk can be found on our Facebook page and also on our YouTube channel.